When Mountain Challenge director Bruce Guillaume started the program 25 years ago, he had no idea that he would also be starting a lifelong career. Guillaume’s passion for the outdoors runs in the family. 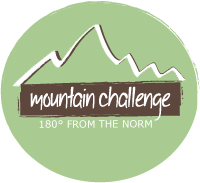 His daughter, Emily, attends Maryville College and is also a staunch advocate for outdoor recreation and the adventure opportunities available through Mountain Challenge. “We’re committed to bringing passion and a sense of earnestness to outdoor recreation,” she says. That earnestness transcends basic outdoor recreation. The Mountain Challenge program is housed in one of the few LEED-certified buildings in the country, which speaks to the program’s values.